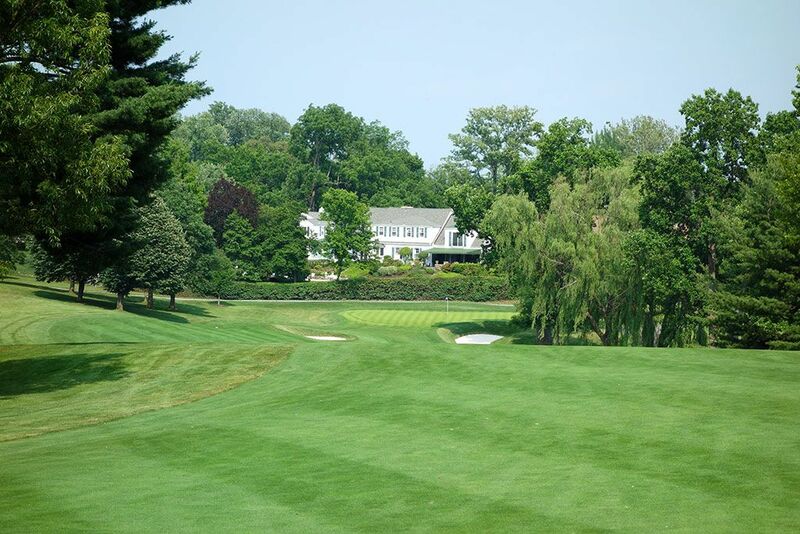 Course Website: Official Website - Visit Columbia Country Club's official website by clicking on the link provided. 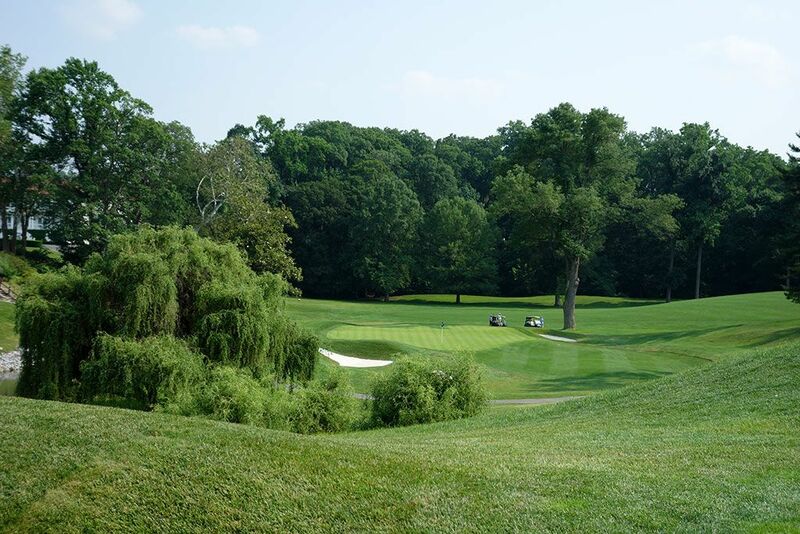 Accolades: Ranked 5th in Maryland on Golf Course Gurus' Best in State list. 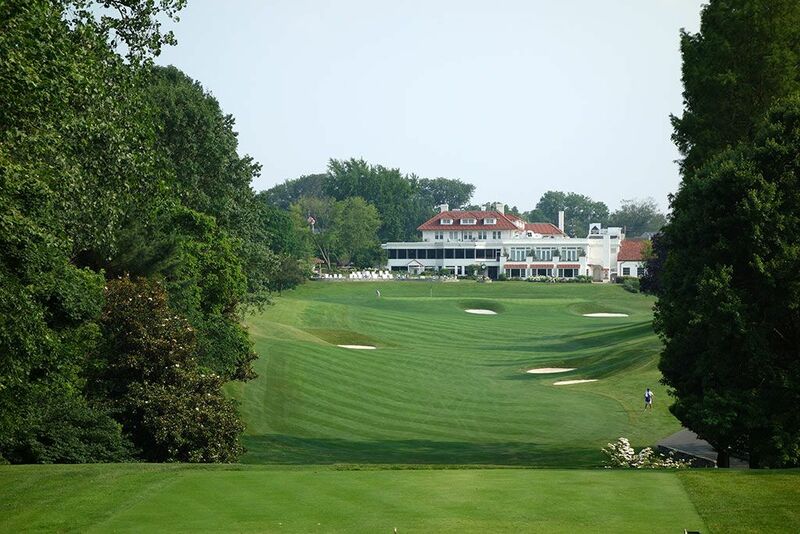 What to Expect: Columbia is an old school country club located near the top of the north 495 loop that circles Washington D.C. The quick access to D.C. makes it a popular club among businessmen and some politicians in the area. The routing is very similar to what was found in 1921 when the course hosted the U.S. Open however there have been some changes to the design. The 18th green was tamed down from a green with six quadrants to one with just four while the expansive fairway bunker on the 5th hole was eliminated; a hole which Bobby Jones famously took a nine on during the U.S. Open after hooking two balls out of bounds. The terrain is quite hilly overall with several elevation changes which create some great shot opportunities and memorability. Conditioning is excellent at Columbia with the club enjoying a reputation of having some of the best greens in the state. 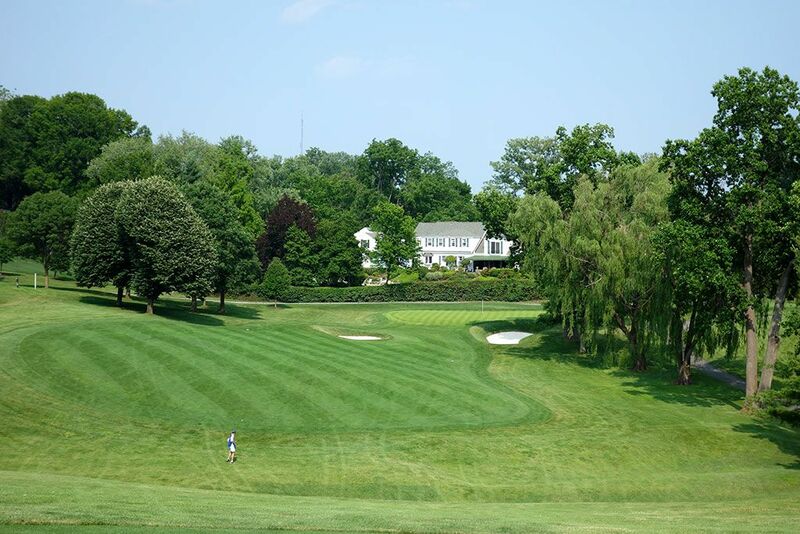 The course doesn't feature a lot of length but it doesn't play as short as the scorecard may lure you into thinking and will pull several clubs out of your bag. Caddies accompany groups and players are given the option of whether to walk or ride in a cart. The recommended tipping amounts are provided on a card upon check-in. Signature Hole: 18th Hole – 433 Yard Par 4 – With a view that is familiar to many top end private clubs, the 18th hole plays back towards a towering clubhouse that frames the green. The putting surface was formerly sectioned into six distinct portions but has now been tamed down to four which still provides a formidable challenge for players to contend with. 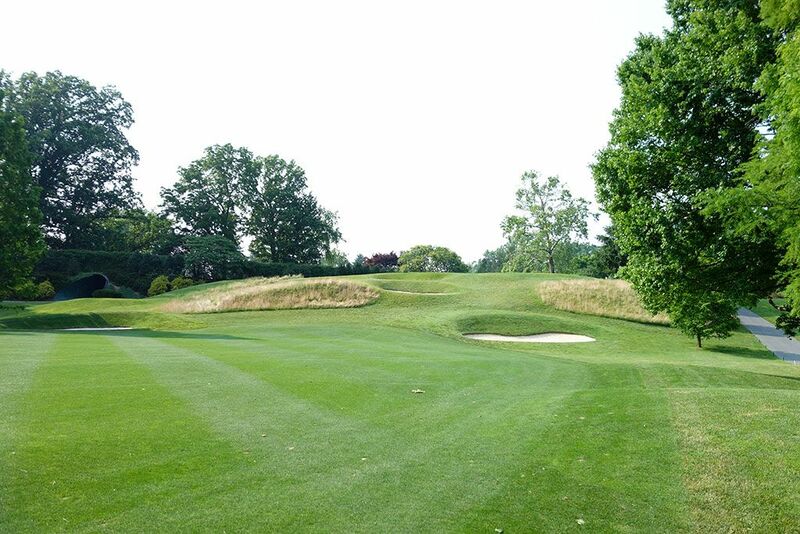 The bowled fairway features three bunkers to contend with while the green boasts two more. The uphill approach shot will often leave players short as they try to reach the green and getting up and down from off the green is an impressive accomplishment considering the green contours. 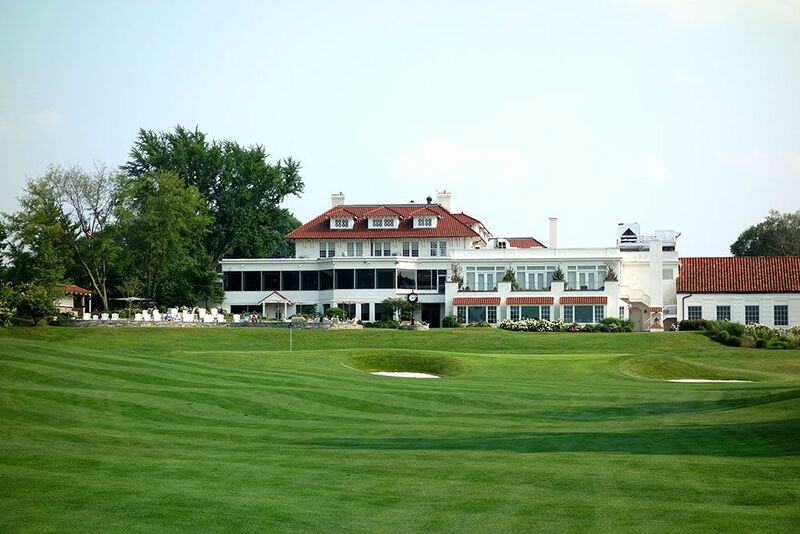 While it is the famous white house located in D.C., the large white clubhouse that sets the background for this hole is impressive nonetheless. 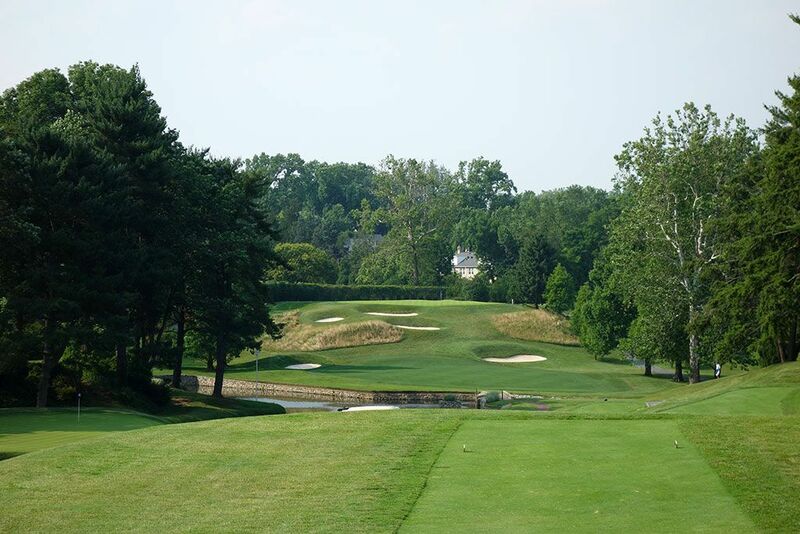 Best Par 3: 16th Hole – 163 Yards – Serving as inspiration to Bobby Jones when he designed the uber famous 12th hole at Augusta National, the 16th at Columbia Country Club is a beautiful one-shotter with multiple tee boxes and angles to play from. 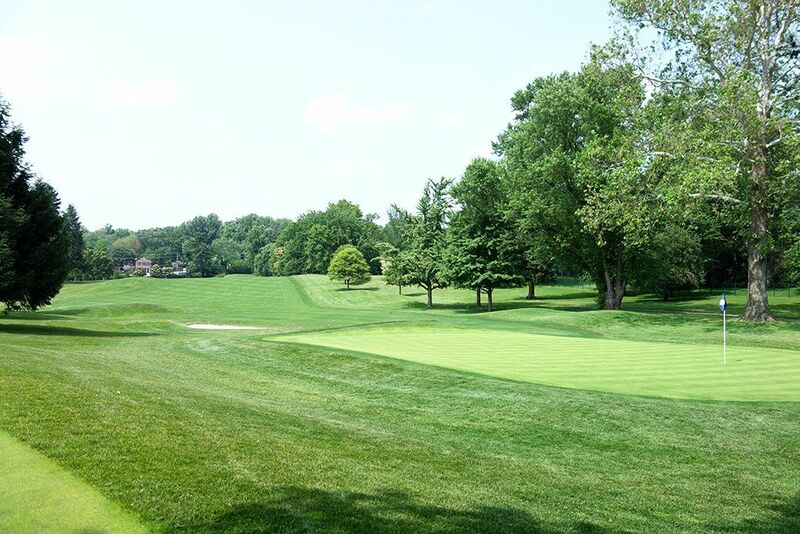 Those familiar with the Masters will recognize the water hazard and bunker fronting the green along with the treacherous right side pin placement that brings dangerous putting contours and the water into play. The lower left tee box makes reaching the right side of the green a bear while the elevated right tee box allows for a better pin-seeking opportunity. Best Par 4: 15th Hole – 378 Yards – With the green out of view from the tee and playing to a raised fairway, there is some mystery as players get ready to embark on the dogleg left 15th hole. A glimpse of bunkering is found in the distance which protects the left side of the fairway and narrows down the landing area. The approach shot plays well downhill to an undulated green featuring deep bunkers on each side of the putting surface. Players hitting their driver may find themselves running out of room and into trouble with long grass and a downhill lie, so a long iron or fairway wood is best. Best Par 5: 12th Hole – 520 Yards – The 12th seems relatively unassuming off the tee but the excitement level really steps up after hitting your drive. 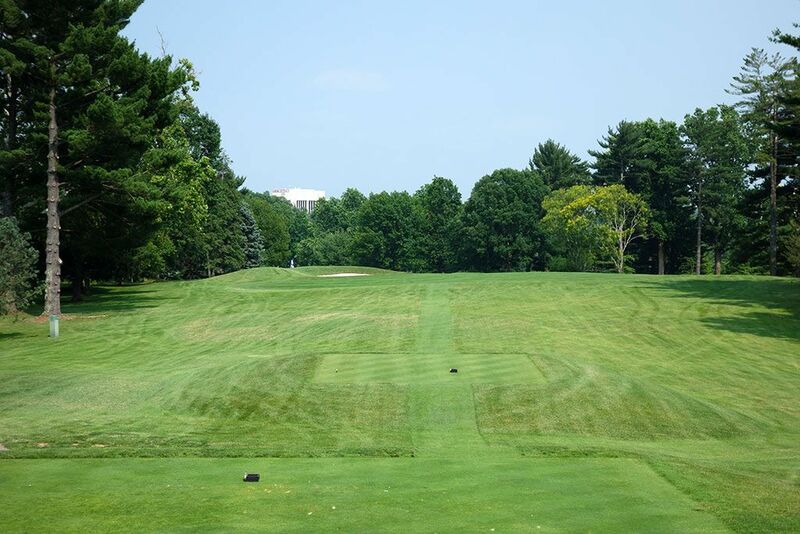 The first fairway ends 330 yards from the deepest tee box with the terrain falling down to a second fairway. From this elevated position, plays can utilize the left to right slope of the lower fairway to feed their ball to the green or take advantage of the elevation drop to get those extra few yards they may need to reach the green on the fly. 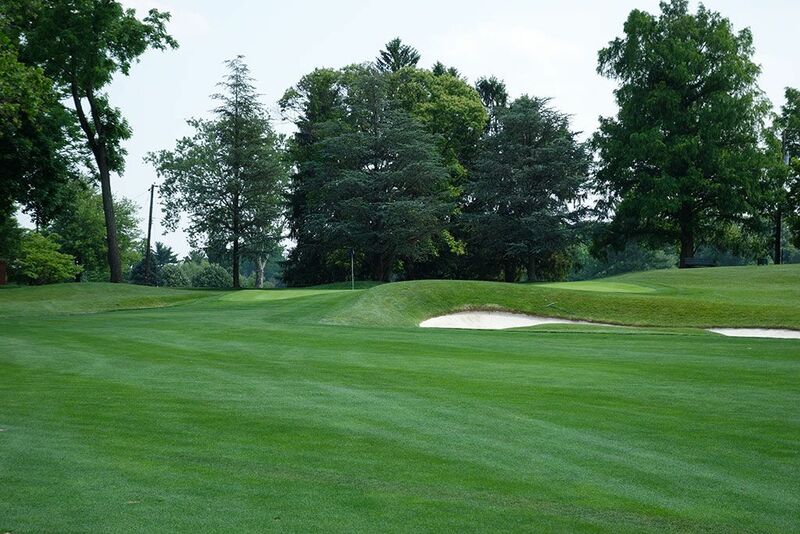 A pot bunker rests in the middle of the landing zone for players looking to layup while a deep bunker and tall trees protect the right side of the green. 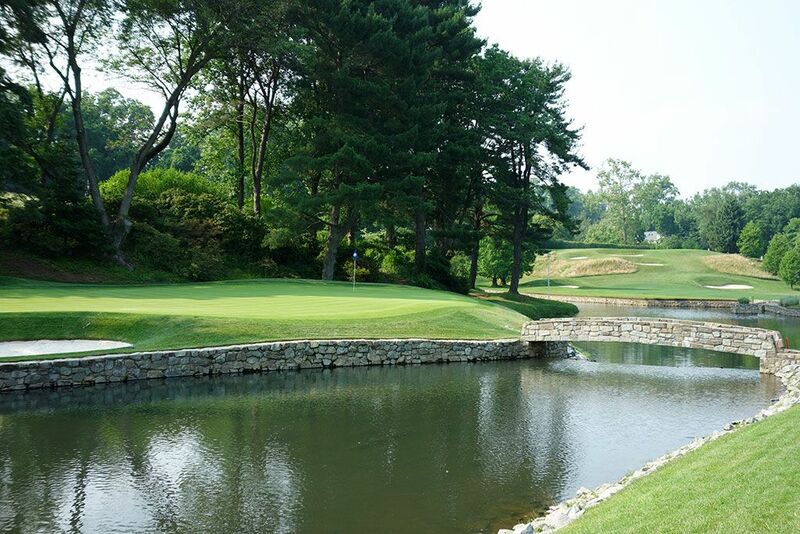 The second and third shots on this hole can prove to be two of the most memorable of your round. Birdie Time: 7th Hole – 326 Yard Par 4 – Even if this short par four isn't driveable for most players, it is still a chance to rip the driver and have a short pitch into the green. 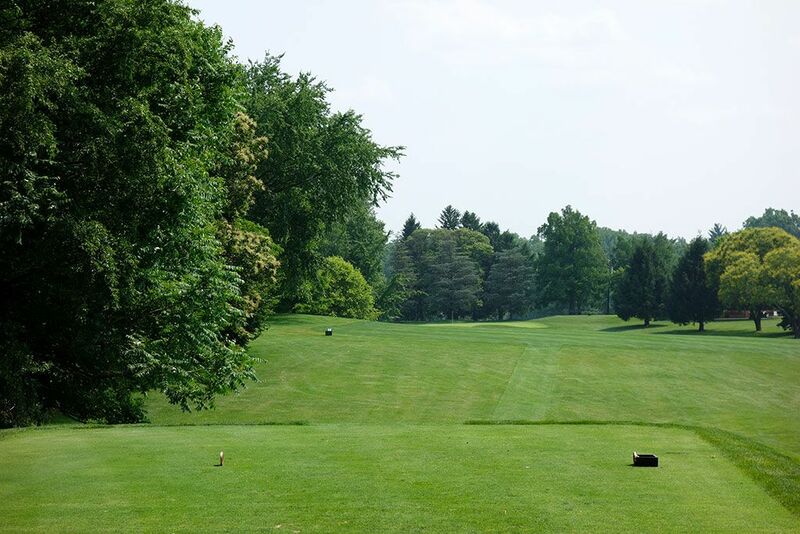 Trees frame the left side of the hole and a large bunker fronts the green, but the fairway is relatively forgiving so you should have a great lie and manageable distance heading into the green. 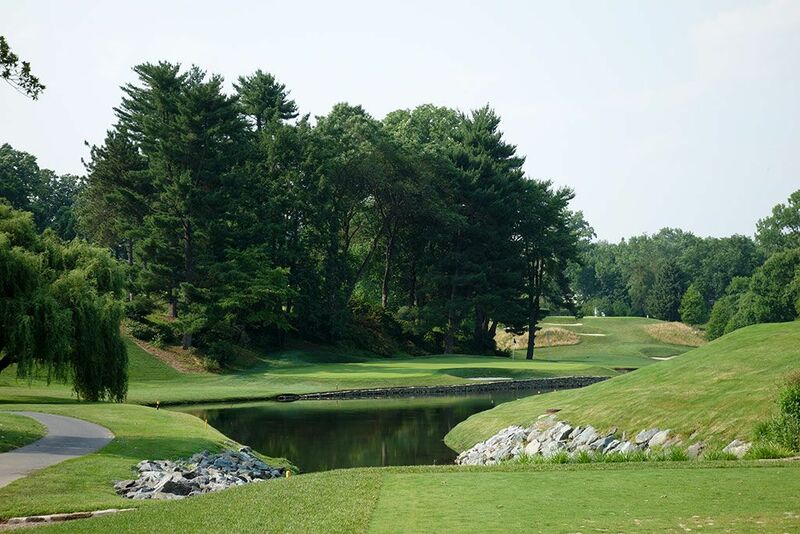 Now is your time to take advantage of an easy hole before embarking on some of the difficult ones ahead. 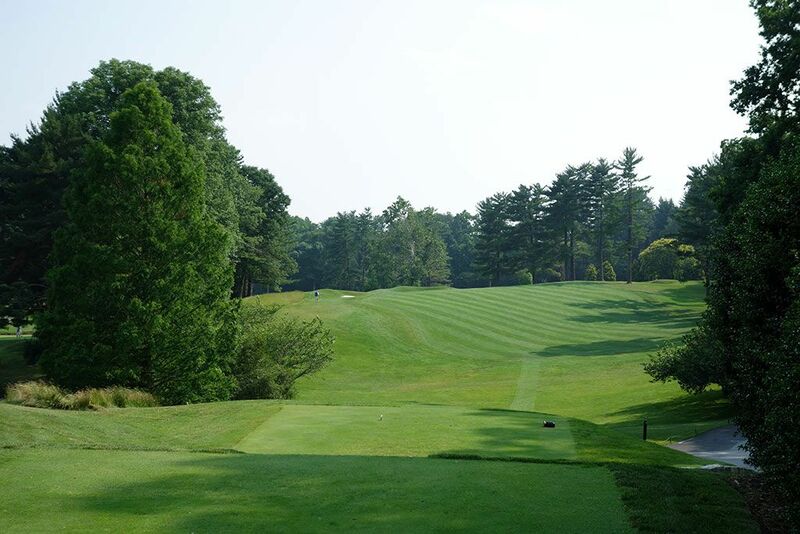 Bogey Beware: 17th Hole – 320 Yard Par 4 – This is the hole that golfers love to hate at Columbia. At just 320 yards it is hard to imagine this short par four could possibly qualify as the Bogey Beware hole, however when you see the approach shot you'll be contending with you will quickly become a believer. After hitting a tee shot that clears the water and steers clear of the fairway bunkers, players are faced with a severely uphill approach shot to a slightly domed green that is protected by a trio of bunkers and gnarly grasses. The shot is blind and going long can be death for your golf ball and your score. With two of the most awkward shot on the course to contend with, the 17th is one of the most difficult short par fours you'll ever contend with.